People still thinking self-publishing has a stigma don’t know about all the money being made by the authors. The latest Author Earnings report is out, at long last, and the result was interesting. If you don’t know of this list, it is the most comprehensive and detailed analysis of the book market available to the public. 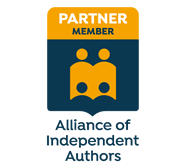 And, after listening to the Sell More Books Show discussing the Top 50 self-published authors list, I was extra excited to check out the latest report. I was too slow though. Data Guy, the man behind the report, had to remove the list of the Top 50 authors because half the authors wanted to remain anonymous. They didn’t want everyone knowing they were doing SO well as self-published authors. Granted, these authors were primarily fiction authors, with multiple book titles. But, the reality is that there is a lot of money in books. And, self-published authors can make a lot more money than you might believe. That said, it’s not that easy to be an author making the money. It’s easier than ever to self-publish, but the average book will sell less than 250 copies in it’s lifetime. So, just because you can go the easy and cheap route, doesn’t mean you should. 1. The author wrote the book for themselves, and not readers. If so, you probably should … but even if it’s about your life, remember that the book is not for you. This can be really hard to do when you write on your own. That story made me feel good to tell it, but it didn’t fit with the hook of my book. The reader wasn’t really benefiting from the story. That’s ok once in awhile, but if you do too much of that, your book won’t sell because people aren’t interested in you, they are interested in what they can learn from you. 2. The author worried about break even. Breakeven for a professionally created non-fiction book that sells for at least $9.99 is around 1,500-2,000 copies. Less copies, the higher the price point. And, of course, it depends on how much you spend on marketing. But, if you focus on break even that is all you’ll get. Instead, think about ways to 10x that investment. How many speaking gigs do you need to land as a result of your book? How many new clients do you need to get 10x of your book investment back? When you do that, you won’t be afraid to invest in creating an amazing book, hiring a marketing team, and pushing hard to get the word out about your book. 3. Fear of Failure or Fear of Success. The single greatest thing that holds people back from investing in their book’s success is fear. You’re afraid you are wasting your money. You’re afraid your book won’t be good enough. Or, you’re afraid it will be a great success and change your life. As an entrepreneur, or professional, you’d never act as your lawyer, accountant, HR consultant, and PR person. So why are you trying to write your book alone? Authors who are successful hire a great team from day one. They know they can’t do it well on their own. 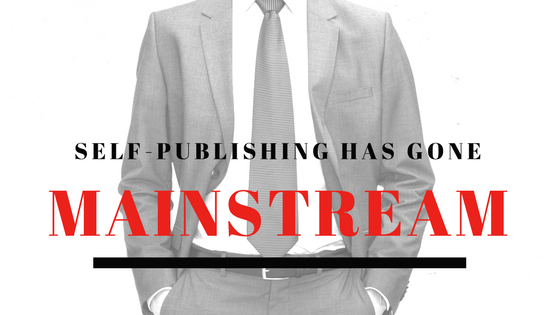 The author earnings report declares that self-publishing is mainstream now. There’s no stigma. If you create a great book with your ideal reader in mind, focus on massive success, and get over the fear, the money, movie deals, and monstrous opportunities are yours for the taking. We have a new lady in our house. Her name is Alexa. The Echo Dot came free with the Bose speakers I bought my husband Dave for Christmas. Now, we find ourselves saying things like “Alexa, Play something upbeat” and “Alexa, what are the news headlines today?”. Alexa, recommend me a book on business. Alexa can shop and make recommendations for you if you enable the skill (skills are like apps for the system). She’ll also play your audible purchases on command or read you books purchased from the Kindle Store. I much prefer to listen to the professionally narrated and edited version of a book than have the robotic voice of Alexa read to me … but, as an author it’s worth noting the trend of listening to content is only going to continue to grow. And grow it has … audio book sales are up 32% in 2017! And thanks to devices like Alexa becoming more widespread, I think we’ll see more and more audiobook sales in 2018 and beyond. So … what does that mean? If you’re writing a book in 2018, you should be thinking audio. Book Launchers now produces audio books! We’ve partnered with an award winning voice coach and sound editor to help our authors narrate and produce a professional quality audio book worthy of 5 stars on audible. There are people who will never read your book, but they will listen to it. And, there are people who want to have your book in audio and e-book to switch between the two. Discounts will be offered for Book Launchers members. Yippee!! I am VERY excited about this addition. Monthly YouTube live Q&A video – Every month I’ll be going live to answer your questions and help you navigate the self-publishing world. It will be a perfect opportunity to ask questions about book titles, book ideas, and turning books into movies or TV shows. Date and time coming soon. Make sure you subscribe to our YouTube channel so you get notified of when we go live. First Look Book Reviews with The Book Broad 😉 …. a new 2x’s a month segment on Book Launchers YouTube channel starting in February where you can get a peek into the best books we’re helping to launch and the best books I’m reading outside the office too. Price Increase! Effective March 1st, 2018 we’re raising the prices of a Book Launchers membership. Existing Book Launchers members will not be effected so if you want to join us now and lock in the lower rate, let’s chat about your book. The self-publishing industry is maturing but the opportunities to succeed, make money and build a business from an excellent book are still enormous. 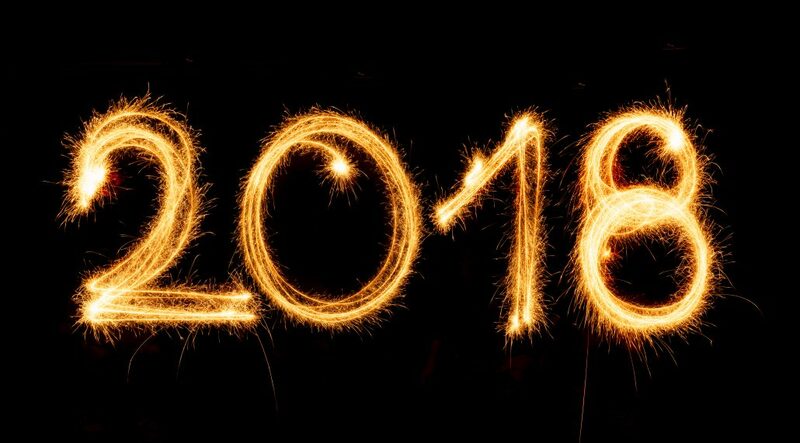 It’s going to be an exciting year for authors!